Slightly elevated view of the west shore of Turville Bay. Two men sit in a rowboat near the shore surrounded by water lilies. 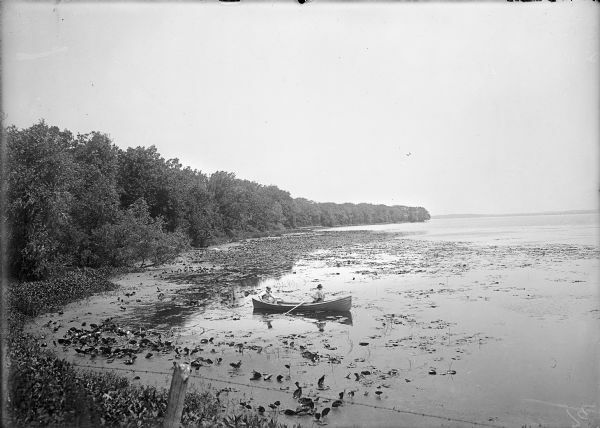 There is a fence in the foreground, and trees are along the shoreline on the left. In the far background is the shoreline across the lake.